Trapped attic air can easily reach 150-Degree or more. These units remove super-heated attic air, making any home more comfortable. Whether it's air conditioned or not. In those homes that are, the air conditioners run less and don't have to work nearly as hard. And all Broan Powered Attic Ventilators are as efficient as they are dependable. 14-Inch diameter steel blade specially designed for maximum air movement. Operates automatically – adjustable thermostat built-Inch. Thermally protected, permanently lubricated motor. Quiet, high-performance operation for inside-the-attic applications. Galvanized steel housing, ribbed for added strength. Mounting brackets simplify installation. 1600 CFM for attics up to 2280 sq. ft. Use with Broan model 433 Automatic Shutter, available separately, or Standard HVI Wood Louver (not included). Trapped attic air can easily reach 150° or more. These units remove super-heated attic air, making any home more comfortable. Whether it's air conditioned or not. In those homes that are, the air conditioners run less and don't have to work nearly as hard. And all BROAN Powered Attic Ventilators are as efficient as they are dependable. 14” diameter steel blade specially designed for maximum air movement. Operates automatically – adjustable thermostat built-in. Thermally protected, permanently lubricated motor. 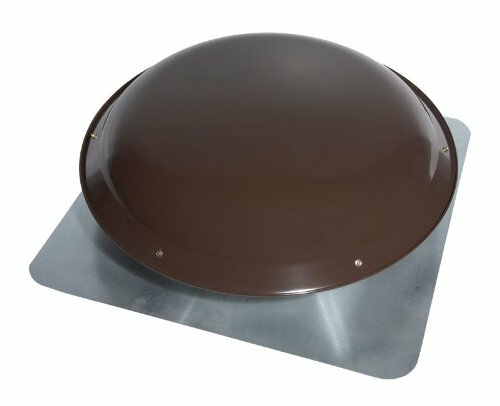 Heavy gauge aluminum dome. 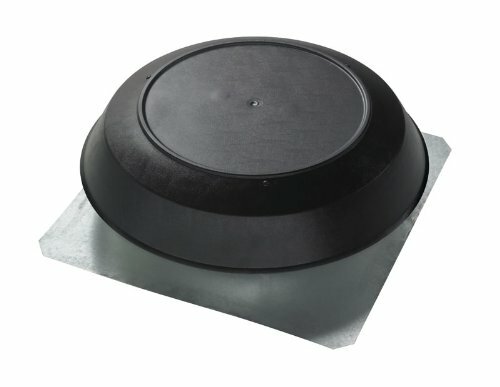 Mounts easily between rafters – template included for cutting roof boards and shingles. Mesh screen keeps out birds and insects. 3-7/8” high splash guard helps keep out rain. Heavy gauge metal flashing stands up to nailing and tarring, regardless of climate. Thermostat and motor accessible from outside for easy servicing, if required. Air delivery @ 0.03” static pressure. 1000 CFM for attics up to 1400 sq. ft.
356BR Finish: Brown Features: -Attic ventilator with dome. -Solar power: No. Dimensions: -Overall dimensions: 4'' H x 17'' Dia. 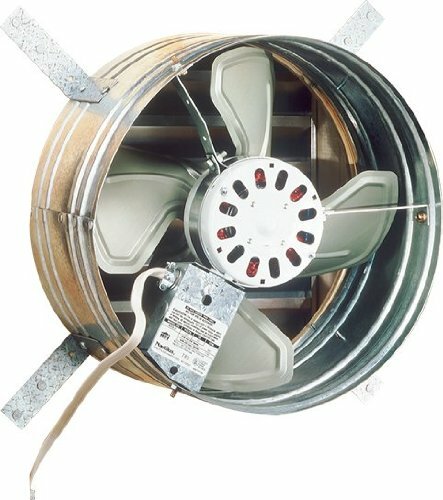 Powerful and easy to install, these units supplement or replace air conditioning by removing the blanket of hot, trapped air from attics.Too often, attic ventilation is overlooked, not to mention ignored as a place for energy savings. That’s where Broan solutions make sense. Consider this: air trapped in the attic can easily reach 150-degrees or more. With Broan ventilation solutions, it’s still a full 60-degrees cooler in the attic on a 90-degree day. That’s why attic ventilation is critical to making any home more comfortable while lowering energy costs. Air conditioners can run less and won’t have to work as hard. Humid, stagnant air can be removed, drawing fresh dry air across the surfaces. Attics can be drier and cooler – the perfect tools to help fight potential moisture damage.Available in three popular performance ratings. Select one that best suits attic size and shingle color. 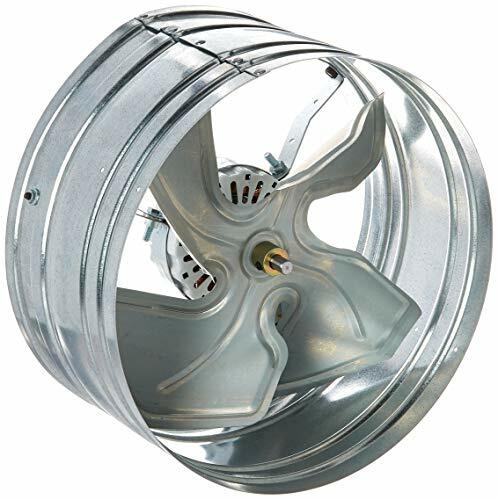 350BR Fan strength: 1050 CFM Features: -Attic ventilator with dome. -Available in: -1050 CFM. -1200 CFM. -1600 CFM. . -Brown dome. 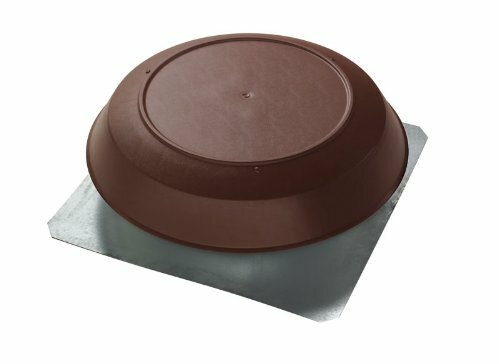 -Overall dimensions: 1.92'' H x 0.83'' W x 2'' D.
Year round ventilating of your attic minimizes harmful moisture in the winter and lowers the temperature of your home in the summer. Keeping your attic cool and dry can extend the life of your roof, by preventing rot, premature aging, and damaging shingle distortion that can result from excessive heat. A cool attic in summer also saves you money on your energy bill and extends the life of your air conditioner. 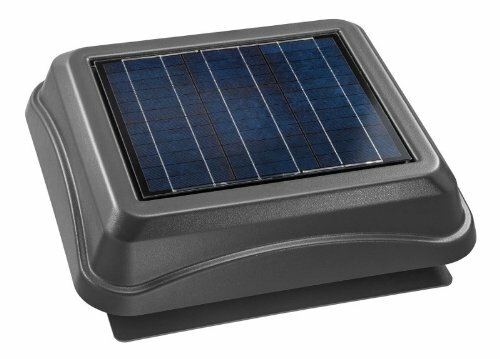 349BR Features: -Powered attic fan.-1000 CFM.-Tough, durable enameled plated steel roof fans.-Low profile domes.-14'' metal blades.-Mesh bird guard.-Built-in adjustable thermostat - for automatic operation at your chosen temperature level.-HVI - 2100 certified. Color/Finish: -Brown finish.-Powder coated dome for a tough finish. Warranty: -Nutone Broan provides 1 year limited warranty. I open and install a Master Flow Power Attic Ventilator to help keep my storage area above the toy garage cooler. Not too hard to install. Less than $100. 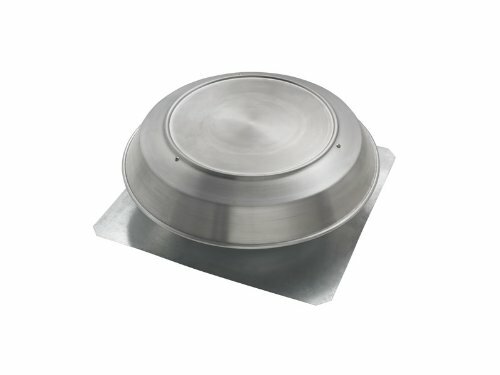 Compare prices on Mount Powered Attic Ventilator at Elevelist.com – use promo codes and coupons for best offers and deals. We work hard to get you amazing deals and collect all avail hot offers online and represent it in one place for the customers. Now our visitors can leverage benefits of big brands and heavy discounts available for that day and for famous brands.